Ladies and gentlemen, last night, I drank tomato juice from this very glass. How would you feel if I were to serve you a fine Chianti in this without first washing it? Insulted! And rightly so! Not only that, but I would have ruined the wine and shown myself to be a miserable host. 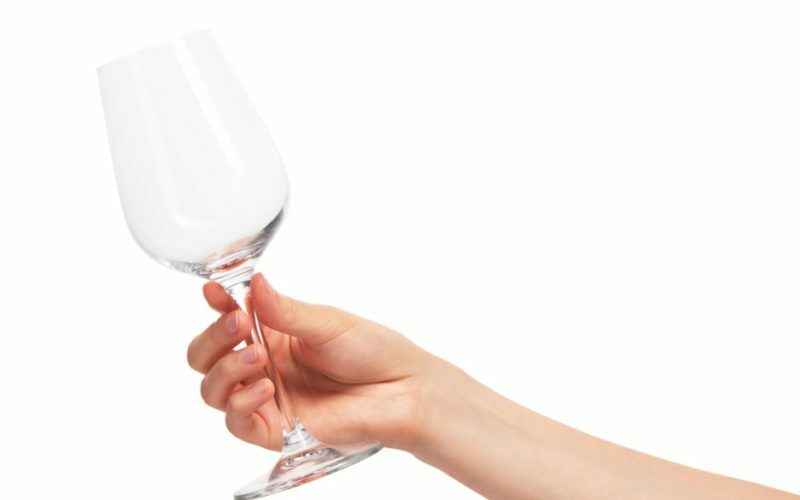 A clean glass, then, indicates a triple respect: respect for the person whom I am serving, respect for the beverage I am serving, and respect for myself. You can see where I am heading. The fact that Our Lady was immaculately conceived made her the perfectly clear and clean vessel to contain the Christ Child. Her purity, then, teaches a threefold lesson: God the Father’s high regard for us, His concern for the Christ Child, and His dignity as God. Mary’s Immaculate Conception shows that we are worth saving, that Christ is worthy of receiving, and that God the Father is worthy of honor. Consider this observation: Mother Teresa called the Annunciation, “Our Lady’s First Holy Communion Day.” When Mary conceived Jesus in her womb, It marked the first time she received the Body of Christ into her very being. She was, by the grace of God, a pure and worthy receptacle for the Christ Child. What about my reception of the Body of Christ? When I receive Jesus in Holy Communion, has my soul been cleansed by regular confession, or is it stained with sin, more like this dirty glass? If God the Father thought it fit to make Mary a pure vessel to receive His Son, how much more are we to make our souls, by frequent confession, worthy Tabernacles of the Most Blessed Sacrament? You’d never think of pouring ginger ale into a filthy glass. Why would we want to receive the Eucharist in souls stained by sin?